Decuninck is one of the world’s leading uPVC profile manufacturers producing 100% recyclable and environmentally conscious products. 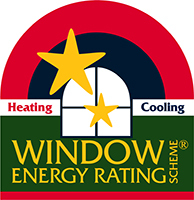 Replacing the old windows in your house with energy efficient windows can play a significant role in reducing energy usage in your home, helping to reduce your use of power and electricity. To achieve accreditation under the ICP, suppliers must have their profiles independently tested at Australia’s only natural outdoor weather resistance testing laboratory at a high irradiation site near Townsville, Queensland. Stringent maximum colour change parameters must be met by exposed profiles as well as impact strength tests. The ICP also includes provisions related to the polymer quality and restrictions on the use of legacy additive compounds containing lead or cadmium. The use of recycled PVC in profiles is permitted providing the ICP requirements are still met. PVC door and PVC window manufacturers of profiles that have been independently verified as meeting the ICP performance requirements may apply for use of a licenced ICP accreditation mark in relation to the compliant profiles. This mark provides a simple way for specifiers, builders and customers to identify accredited uPVC profiles, tested for Australia’s extreme climate.